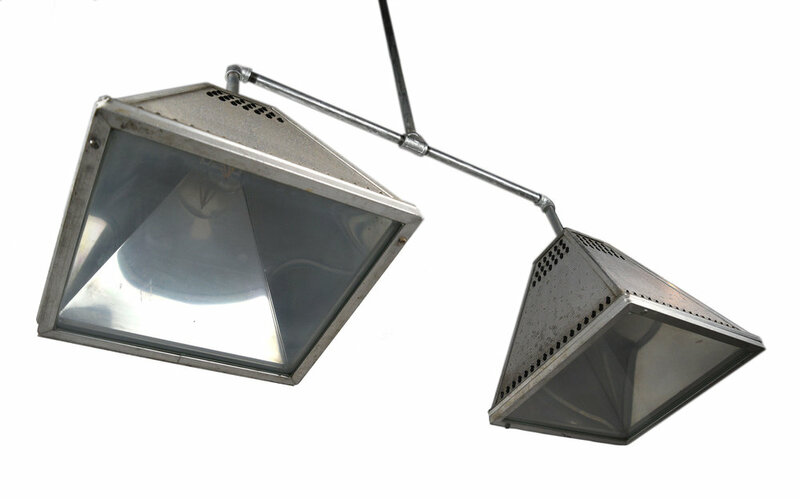 This sturdily built steel pendant features 2 steel industrial lights with bottom lens by WideLite. The two large lights give off plenty of illumination! Be sure to include the Product ID AA#48185 when making your offer.